Have you inflamed gums? Do you have bleeding gums when you brush your teeth? Do you have bad breath? All these circumstances may be symptoms of gingivitis, or in a more advanced stage, periodontitis. Periodontics is the branch of dentistry dealing with diseases of the gums and other tissues surrounding the teeth. Currently there are a large number of people with infection, inflammation or bleeding gums; Fortunately, these diseases are preventable and easily treated. Gingivitis is the inflammation and infection of the gums and other tissues that support the teeth. Usually it caused by the buildup of plaque, which can lead to tartar or calculus. Also they influenced by other factors that increase the likelihood of gingivitis, including pregnancy (hormonal changes), uncontrolled diabetes or a misaligned teeth. The most common symptoms include bleeding gums, intense / purple or bright red gums, tooth sensitivity and inflammation. 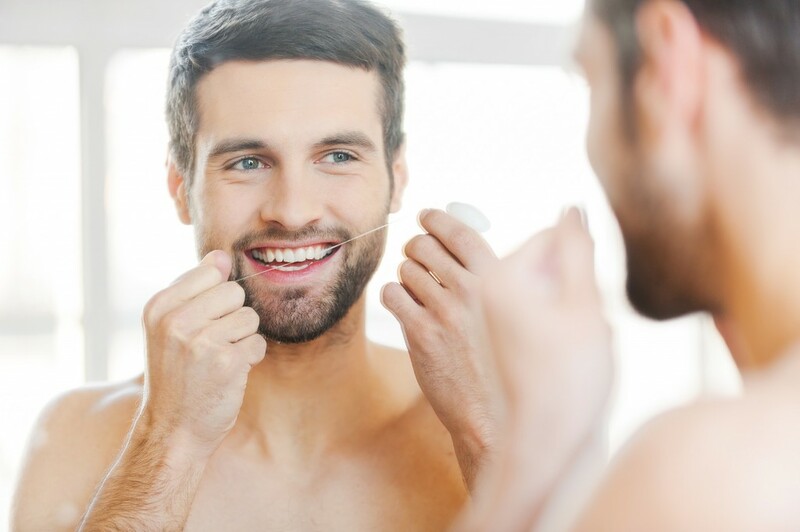 The best solution to gingivitis is prevention: Proper dental hygiene (including flossing and mouthwash) and annual reviews by your trusted dentist. A timely detection of complications prevent gingivitis, periodontitis could become. Periodontitis is a gum disease and periodontal tissue which can lead to gradual loss of teeth and supporting structures. Periodontitis generally comes from an untreated gingivitis, ie, scale buildup and poor oral hygiene. - Mild periodontitis: The plaque builds up on the teeth and gum line, causing swelling and bleeding. - Moderate periodontitis: The edge of the gum loses adhesion to teeth and plaque leads to tartar. - Severe periodontitis: Tartar makes the tooth loses adhesion and move, with the possibility of falling. Do you want to know the status of your posting ? We provide this gingival health test that lets you assess your risk for periodontal disease. It only takes 5 minutes! If you are unsure of the state of your teeth and gums you can visit and ask for your free first examination and diagnosis. Our specialists will advise you on the best solution without compromise. How I can prevent it? The best prevention of gingivitis and periodontitis is the professional dental cleaning, periodically, at least once a year. Professional dental cleaning will help to completely eliminate plaque and tartar that hardly eliminate our daily brushing. They are also essential periodic reviews, in order to take preventive treatment and maintain a perfect oral health. In the Guiu Dental Clinic we will make you first examination and diagnosis with a periodontogram free. Our specialists in periodontics study the state of your teeth and gums and, if necessary, apply the most appropriate treatment for your needs. Disinfection through scraping or root planing are one of the most effective, fast and painless solutions. In the Dental Clinic of Tarragona Guiu we defend conservative and minimally invasive treatments, so we respect the most of your mouth and apply only in the last surgery cases. Scaling and Root Planing: We use ultrasonic instruments that remove plaque through vibrations. This allows us to remove calculus or tartar and plaque from the tooth surfaces and the gumline more effectively. With our innovative techniques, this treatment is simple and painless. Periodontal surgery: In the case of periodontal disease is advanced and affecting the tooth root, apply periodontal surgery. With this treatment successful in stopping and solving the infection, regenerate the tooth structure and improve oral aesthetics. In the Dental Clinic of Tarragona Guiu we use advanced technology for your comfort and peace of mind and we have experts and renowned specialists who will ensure the best solution. People with bruxism are usually closer to the lower upper teeth rattling or unintentionally. Normally we associate this to psychological causes such as stress or anxiety, but also can come caused by a misalignment of the teeth, habits or sleeping posture. Bruxism can cause wear of the teeth, sensitive teeth and jaw pain or inflammation, among other symptoms. If you have bruxism we recommend you to practicing relaxation, avoid eating hard foods and sweets, drink water and sleep well anbundant. Moreover, to prevent damage to the teeth and bruxism can cause symptoms, some use a custom mouthguard that are placed during the night or when the patient are sleeping. In Dental Clinic Guiu we take a mold of your teeth to create a custom mouthguard. Order your first visit free of charge and will recommend the solution that best suits you.